La banda noruega de progressive metal, Leprous, que han firmado recientemente un acuerdo mundial con InsideOut Music, han elegido al artista Jeff Jordan para crear las ilustraciones de su próximo álbum, "Bilateral". We're happy to announce release dates, cover art and release concert for our upcoming album "Bilateral"! The album has been produced by Ihsahn -Official- and Starofash -Officialhttp://www.facebook.com/starofashmusic and has been mixed by Jens Bogren @ Fascination street studios! 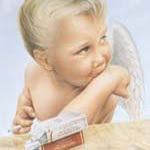 The cover art has been done by the surrealistic painter Jeff Jordan and the spanish designer Ritxi Ostáris. "Bilateral" will be released on August 22nd, 2011 in Europe and August 23rd, 2011 in North America via InsideOutMusic. Martes 29 de Octubre, 20:00 hrs. Bajo el título de "Coal", el nuevo disco será lanzado el 20 de mayo en Europa y el 28 de mayo en América del Norte a través de InsideOutMusic. Einar Solberg: "Con nuestro próximo álbum "Coal", creo que dimos un paso más en nuestra expresión personal. Heidi Solberg Tveitan y Vegard Tveitan de Mnemosyne fueron los productores de este álbum junto con LEPROUS.. nos ayudaron mucho para alcanzar todo el potencial de las canciones y el álbum no sería igual de bueno sin su ayuda. Jens Bogren y Lindgren Tony en los estudios Fascination Street mezclaron el material y han hecho que este álbum brille como nadie más podría haberlo hecho. LEPROUS: portada de su nuevo disco "Coal"
"Como algunos de vosotros podríais haber sospechado, Rein y Leprous han escogido diferentes caminos para el futuro. Rein ha sido parte de Leprous en nuestros dos mejores años hasta ahora, y le estamos eternamente agradecidos por toda la gran música y los buenos tiempos. Tocará su último show con Leprous en el "Brutal Assault" este sábado, así que estate allí si quieres decirle adiós!" Rein: "Ha llegado para mí el momento de separarme de Leprous, siento la necesidad de dar prioridad a cosas diferentes en la vida, y como Leprous es una banda que necesita y merece un alto nivel de dedicación, decidí que lo mejor iba a ser despedirme...."
Martin Skrebergene será el nuevo bajista de la banda. As some of you might have suspected, Rein and Leprous have chosen different paths for the future. Rein has been a part of Leprous in our two best years so far, and we are forever grateful for all the great music good times! He will play his last Leprous-show on Brutal Assault this Saturday, so be there if you wanna wave him goodbye! Rein: "The time has come for me to part ways with Leprous. 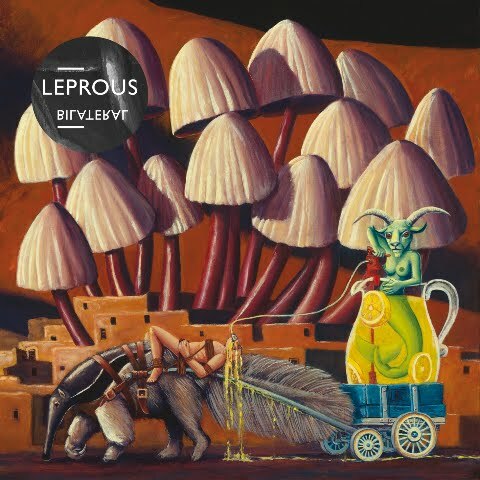 I feel the need to prioritize different things in life, and as Leprous is a band that needs, and deserves, a high level of dedication, I decided that the best course of action was to take my leave. I am extremely grateful for being a part of Leprous for the last couple of years, for all the great memories and experiences, the ups and downs, and for being able to share them all with the rest of the guys in the band. I am confident that Leprous will continue on to accomplish great things, and I look forward to follow Leprous into the future.